Please select atleast two cycles for comparison. Enter your details and we will get back to you. 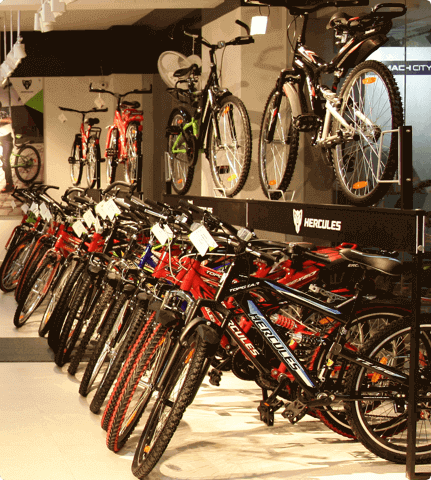 We provide free shipping for all bicycles that are sold on our website, across India. Simply check if your pin code is serviced and you'll have your bike delivered at your doorstep within 5-14 days, without the hassle, or the cost. So no heavy lifting, and it's light on your pocket too. Your bicycle's components are under a warranty from the date of the sale. Enjoy warranty of up to 2 years on your bicycle. So ride any trail and tread every road - we've got you covered. Purchasing the bike you want has never been easier. Checkout using Net banking, Debit card or a Credit card - all VISA, MasterCard and AMEX cards are supported. We don't store any of your card information and are always here to make sure that your every transaction with us is smooth, simple and safe. Be it a young one's first bicycle ride or a mountain biker’s triumph over tough terrain or a professional cyclist’s podium finish - at Track and Trail, we make sure riders get everything they need to make these perfect cycling moments happen. 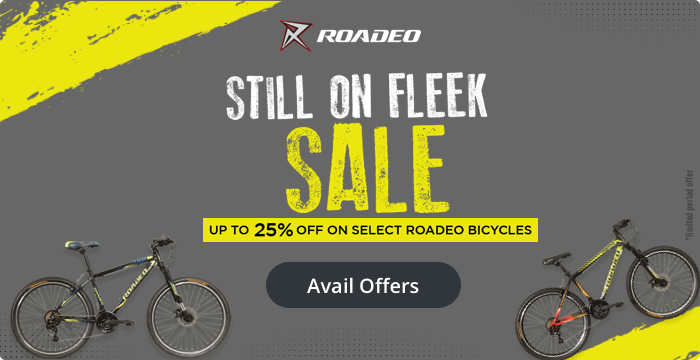 Cycling enthusiasts can explore cycles and cycling gear from top brands like BSA, Hercules, Schwinn, Mach City, Montra, Ridley and many more. All in a world-class retail environment that allows them to make an informed and educated choice based on their specific requirements. We believe that cycling brings true joy to the rider . When you partner with us, you help us spread the “ Joy of Cycling” even further. Our franchises are the pillars that bring this superior riding experience closer to riders. Come on board, and work with leading homegrown as well as international cycling brands, and be a part of a top-notch cycling ecosystem. How can I know the status of my order? All users have the option to track their orders by clicking on Track Order. The user has to enter the email address used while placing the order and the order number to track the order. Registered users can Sign in and track their orders from order history section in the account page. Where do you deliver within India? Currently we deliver to selected cities within India. Please check if we deliver to your pin code/city by entering your pin code details in the product page. The time taken for delivery tends to vary according to the destination; however, we make our best efforts to ensure that the domestic order is delivered within 7-14 working days of you placing the order. Do I need to register to be able to shop at www.trackandtrail.in. ? We strongly recommend that you register on www.trackandtrail.in as it makes your checkout faster, allows you to track your order, save products that interest you to a wishlist (which you may access at a later time) and provides a better shopping experience. If you would like to register, click here. I don’t remember my password. What do I do? You can enter your e-mail address and >click on the forgot password link in the login page and we will e-mail you a system generated change password link to your registered email address. Are the personal details that I have shared with you secure? Payments can be made through credit cards, debit cards, international cards, or net banking. Please note that payments on www.trackandtrail.in will be accepted only in INR for domestic orders. In case of international credit cards, the transaction amount will be converted to INR before the payment is accepted. Currency conversion charges may apply based on your credit card policy. Orders once placed can’t be cancelled. What do I do if I receive the wrong product? You can call us on 1800-102-2324 and write to contact@trackandtrail.in to report the incident and report the mistake. If you want to return the product, please do not use it. We will arrange for the pick-up of the unused wrong item from the provided address through our logistic partner and arrange for the refund. The product that I received was damaged and I want to return it. What do I do? Our policy doesn’t allow us to exchange any product.